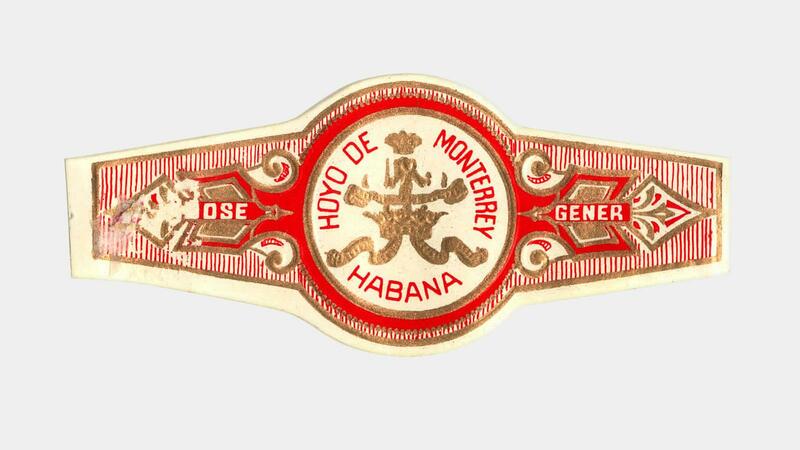 In 1865, tobacco grower José Gener registered the Hoyo de Monterrey brand, which is named after the Basin of Monterrey, a fertile plantation near the Vuelta Abajo region of Cuba bought by Gener in 1860. The brand is best known for its Double Corona vitola, as well as the Epicure line extension. Double Coronas wear a different band (see below), while Epicures are denoted by their secondary band that reads “Epicure Especial” on them, along with the vitola name. Unique, gold scrolling flanks the center logo on both sides. Run your fingers the gold and you will feel it is embossed. The gold, dotted border along the top and bottom of the band is embossed, as is the ornate crown of the center logo. The words “Hoyo de Monterrey” in the center logo are raised. 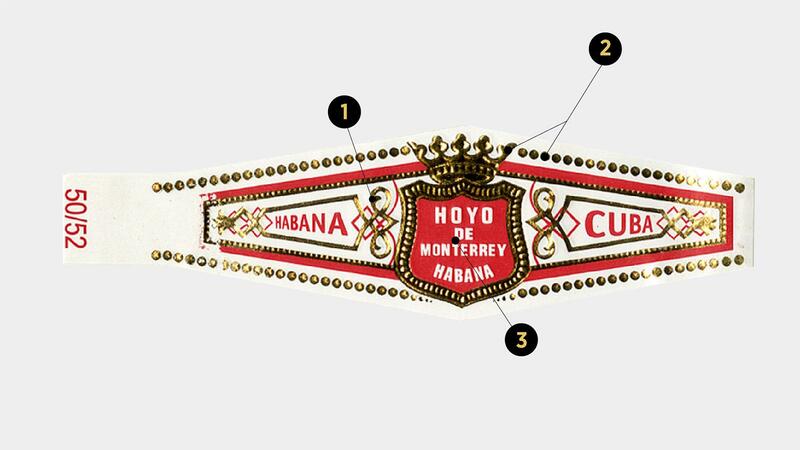 The band of an authentic Hoyo de Monterrey Double Corona. Find out if your Cuban Bolivar is real or fake.